Fine lines, wrinkles and sun damage can do a real number on your face, neck and hands. At AVAMedica Spa, we can provide you with the state-of-the-art solutions you need to look your very best. Our highly skilled and knowledgeable aestheticians can provide you with laser skin resurfacing solutions designed to erase fine lines and visible signs of aging and sun damage, allowing you to look and feel younger. 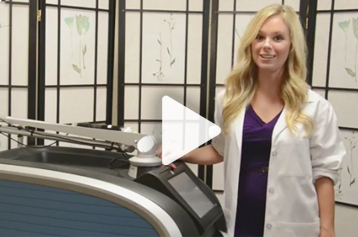 At AVAMedica Spa, we use the Cynosure Icon™ 1540 Aesthetic System to perform our fractional laser treatments. This modern equipment represents the state of the art in wrinkle reduction and the elimination of scars, stretch marks and pigmentation problems caused by sun damage. Our team of talented aestheticians can provide you with the most practical solutions and the most advanced solutions for your beauty needs. Most patients at AVAMedica Spa need just one treatment to see good results. We will schedule an initial appointment with you to discuss your concerns and to ensure that you are a good candidate for this advanced laser treatment. You will also need to avoid exposure to sun for about four weeks before your procedure. During the procedure, you will be provided with goggles to protect the delicate skin around your eyelids and a cooling device to provide greater comfort. Dr. Avaliani can also provide you with numbing creams and pain medications to ensure that you experience minimal pain during this cosmetic procedure. To learn more about laser skin resurfacing and how it can transform your face, neck and hands, call AVAMedica Spa at 646-588-0888 to schedule your initial consultation. Our friendly and courteous professional staff can provide you with the most advanced and cutting-edge solutions for all your aesthetic needs.